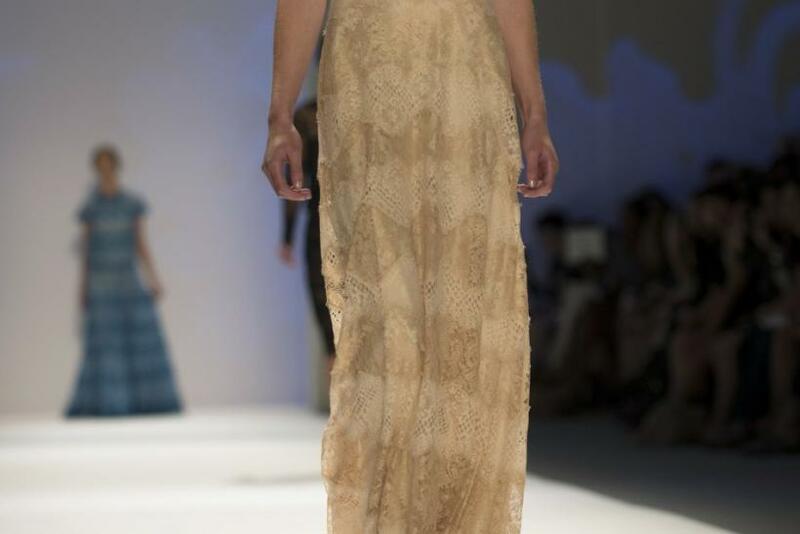 Tadashi Shoji covered a lot of ground in his Spring 2013 show at Mercedes-Benz Fashion Week in New York on Thursday, bringing his fashion travelers along the Silk Road made modern thanks to the Internet as he worked his way to the West from the East and back again. Evident in his designs was Shoji's desire for wanderlust, from the colors to the forms to the fabrics. "It's modern women that are travelling on a modern silk road," Shoji said. And that silk road, the designer explained to IBTimes backstage, is the internet. "It's like wind blowing the internet, east to west, west to east...and all the elements are mixing." "That's what the travelling is like. Busy women don't need to travel to an actual place, you can travel by internet," the Japanese designer said, motioning his fingers in a typing gesture. 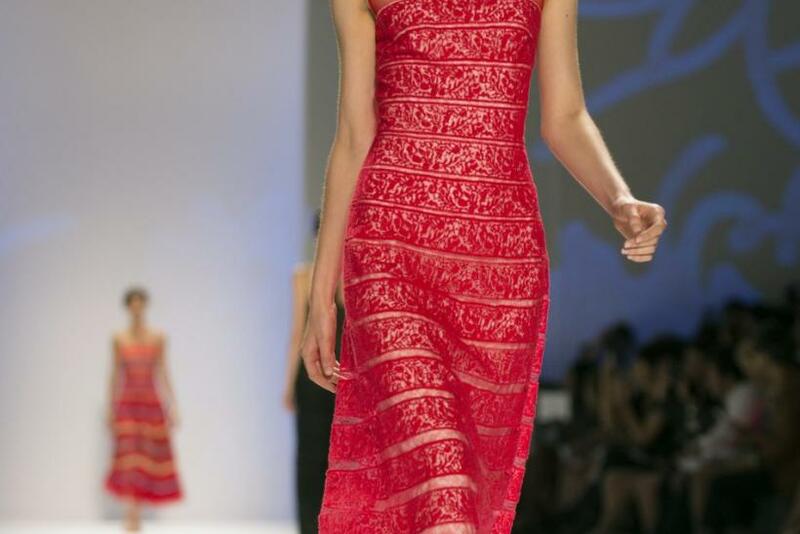 To the tune of Sigur Rós, Shoji began his travels in Italy with dresses, skirts and cap-sleeved gowns with Venetian embroidered lace in hues of neutrals, reds and blues, colors that pay tribute to each destination. Moving eastward down the runway was a long stop in the Middle East at Kazakhstan and the Gobi Desert, respectively. 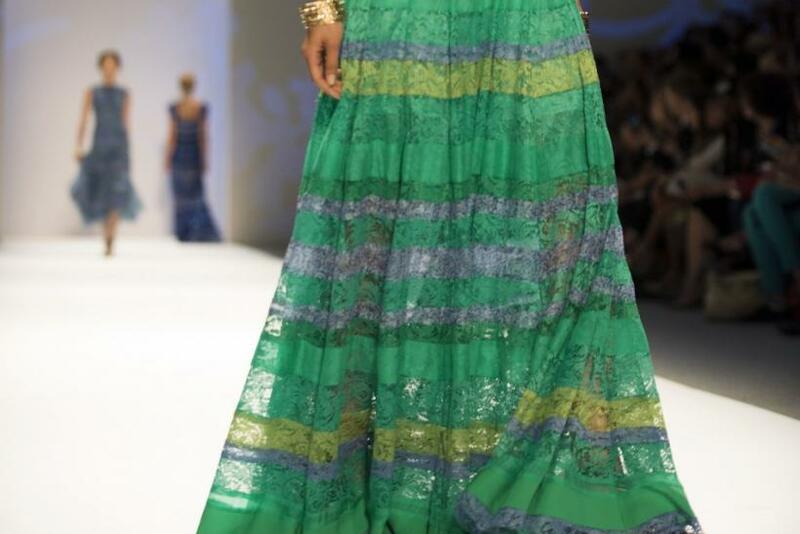 Dresses were banded with a sheer embroidery of lace ranging form warm tones like desert bloom to misty ocean blues. Chantilly lace, a favorite textile often used by Shoji, was his staple fabric. The journey continued on to Xi'an, the capital of China, bringing along ethereal tulle and silk gowns that sashayed in tune with the models' struts on the runway at the stage, with Angela Simmons, June Ambrose and Daisy Fuentes as its front row passengers. In Shoji's own words, "when the winds blow East to West" fusing cultures -- as it often does in the world -- the collection represents that motif through the marriage of fabrics and patterns like lace, printed chiffon and silk georgette as they unite in a mixed patchwork design. The theme of travel isn't a new notion to Shoji, whose collection last season took attendees on a ride along the Shanghai Express, channeling the Golden Age of Shanghai cinema; Cinema being another concept the celebrity-favorite designer is familiar with, namely Octavia Spencer who accepted the award for Best Supporting Actress at the Oscars last year wearing a Tadashi Shoji gown. 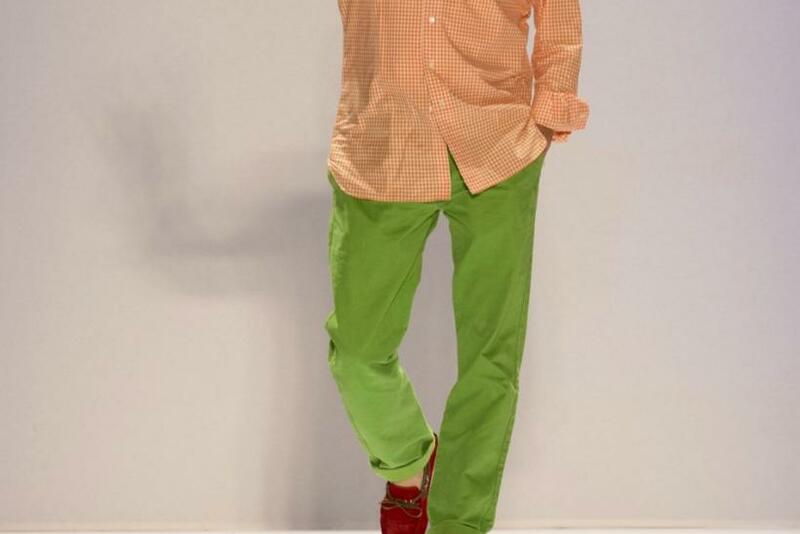 Speaking of travels, one departure from Shoji's usual gamut was his inclusion of separates mixed with his typically evening wear-heavy collection. Shoji mixed with his signature gowns was a line of shirts, pants and skirts, all of which were banded lace sheath in a trapeze. While the Tadashi Shoji woman does not need to travel when wearing his Spring 2013 collection, the designer himself has quite a travel itinerary on his agenda post-Fashion Week. Next he will trek back and forth from Los Angeles to New York showing his collection before going to Manila, Phillippines and Shanghai, where he lived for much of his life, he said backstage before the show.